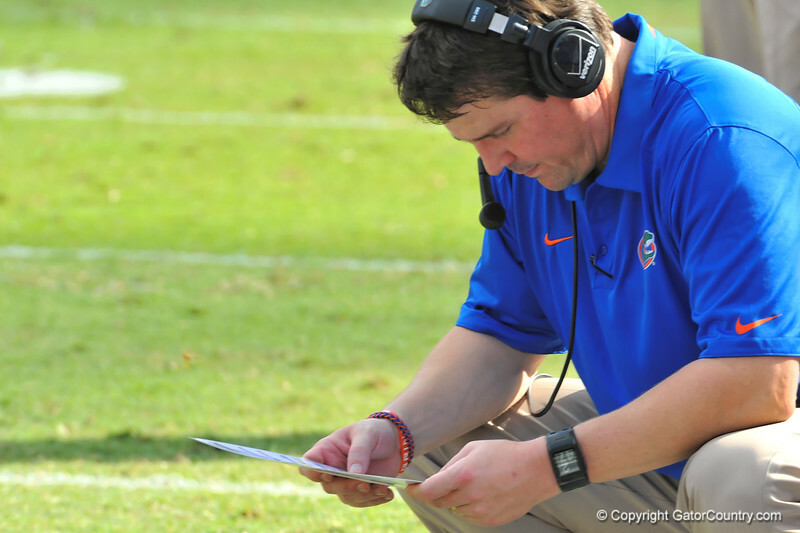 Florida Gator head coach Will Muschamp looks to his play sheet in the fourth quarter. Florida Gators vs Vanderbilt Commodores. Gainesville, FL. November 9, 2013.